Being the content-consumption junkies that we are, our small team at Newshosting is regularly working away to find little hacks that improve the overall Usenet experience. In terms of infrastructure, we’ve built the most robust network in the biz’. Not only do we offer the fastest transfer speeds of our competitors, but we have rack after rack (after rack) of massive storage centers. This storage and speed allow us to bring our users the best Usenet service in the industry, but it’s not always perfect. Sometimes not all of the articles are available or entirely complete. As is the nature of user generated posts, sometimes things are removed or uploaded improperly. How Do We Improve Completion? 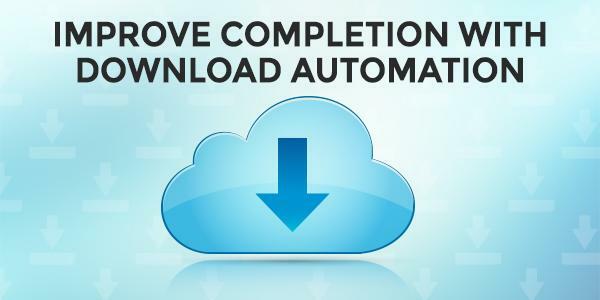 The best way to improve article completion is by using download automation tools like SABnzbd or NZBGet. Both of these are web-based tools that allow users to grab binary article sets as soon as they are posted to a newsgroup. Both applications can receive NZBs via web API, or they can be set to watch RSS feeds for new user-generated article sets. In addition to downloading NZBs automatically, SABnzbd and NZBGet will also process any PAR sets needed for repair and extract any compressed data, like RAR sets. SABnzb and NZBGet are also quite flexible and can run on many platforms including Windows, Mac and Linux, including Raspbian. One of the other key benefits for using one of these tools is the remote management. Because both of these tools offer a web interface, they can be managed from any device with a web browser. There are also Android and iOS apps available for this, which is a whole game-changer in and of itself. Did we miss something? Got a better suggestion for improving completion? Sound-off in the comments below! I have heard a lot of the automation techniques. Never had the time to look into using them just yet since life has been so crazy. Also hard to leave the comfort blanket that is the application you have been already using for so long. The Newshosting Usenet Browser does have an auto-search feature that will look for posts and download them as they become available. Google and the Usenet Reddit community are your friend for more complex automation tools. Anyone looking to easily set all of these tools up should check out http://htpc.io as they’ve done a bang up job making it painless to get them all up and running. This is a great article to help News users take things to the next level. Thanks! Thanks for your feedback, William! Let us know if you have any ideas for other articles new users might be interested in. Thanks NH team for sharing this ? I’ve been meaning to take some timeout to make better usage of the options already available (within your software) as well as external tools too and after reading this lovely bit of knowledge, i think it’s about time ?